Since the beginning of 2014, we have conducted five rounds of our most popular demo contest and this one set a new record in terms of participants – 2485 traders competed for the title of OctaFX Champion! The number of trades performed will knock you of your feet - 98 097 in total! One third of contestants ended the round in profit! 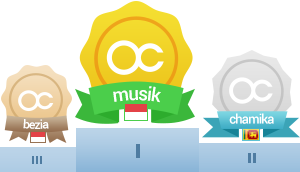 The last runner in the contest, Mr. Arief Widiantoro from Indonesia, is granted 100 USD. Success stories of our winners will be revealed shortly, feel free to check Company News page to draw some inspiration and know the secret of OctaFX Champions! We would like to thank everyone for participation. The contest was designed for our clients to estimate their abilities, gain experience and have fun competing on demo accounts! The true spirit of healthy competition reigns on the field of OctaFX Champion Demo contest! Do you want to find your name in the news next time? Help us beat the record and set a new one – register in OctaFX Champion Demo Contest Round 29! OctaFX.com gradually changes to the better user-friendly design starting from the main page.